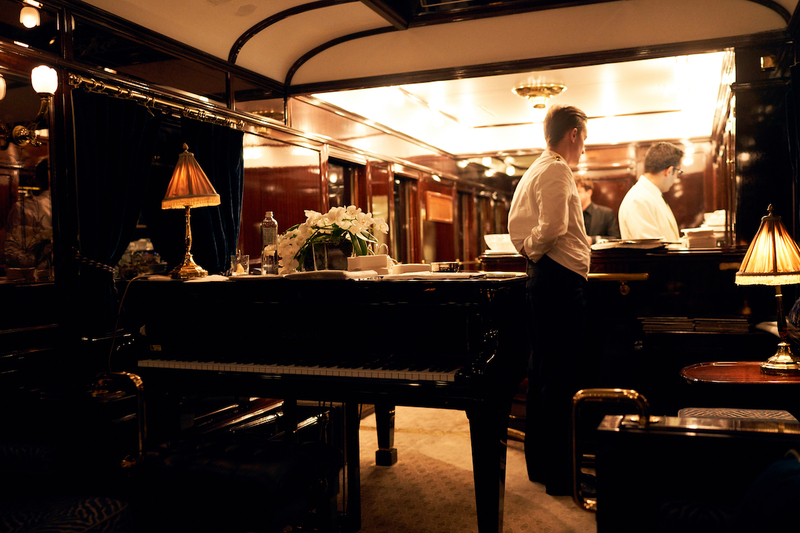 The Orient-Express…In an era that cares less and less about institutions and symbols, this name is one of the rare few ones that is still attached to an unrivalled prestige, and to a legend that connects both with history, by offering its passengers the opportunity of diving back into the world of the cosmopolitan artists and aristocrats that belonged to the fancy Café Society of the 20’s and 30’s, and with fiction, as this train remains forever linked to the famous novel of Agatha Christie, Murder on the Orient-Express, and to its cinematographic adaptations. 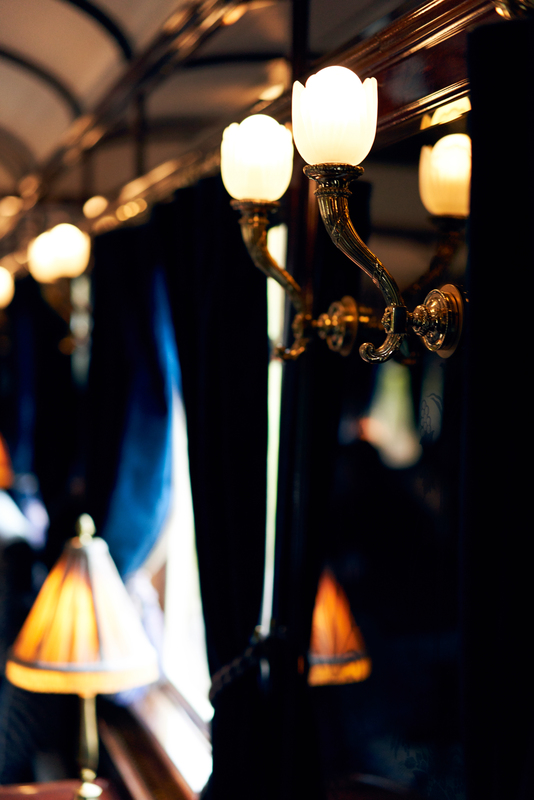 It is true that nothing make the eyes sparkle like the evocation of this legendary train ! 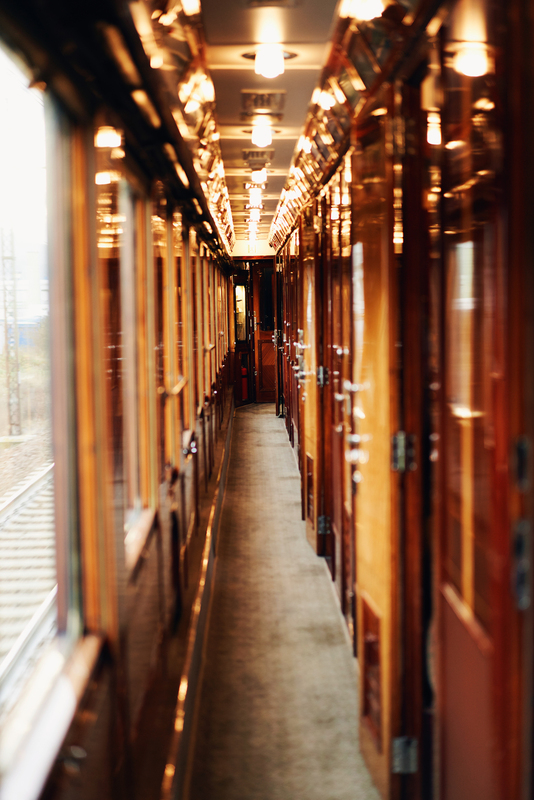 Of the dozens of with luxury trains that travelled through Europe at the dawn of the last century, the Venise-Simplon is with the transsiberian one of the only that is still active, and it’s extraordinary that such a museum piece can be used today as an actual mean of traansport. 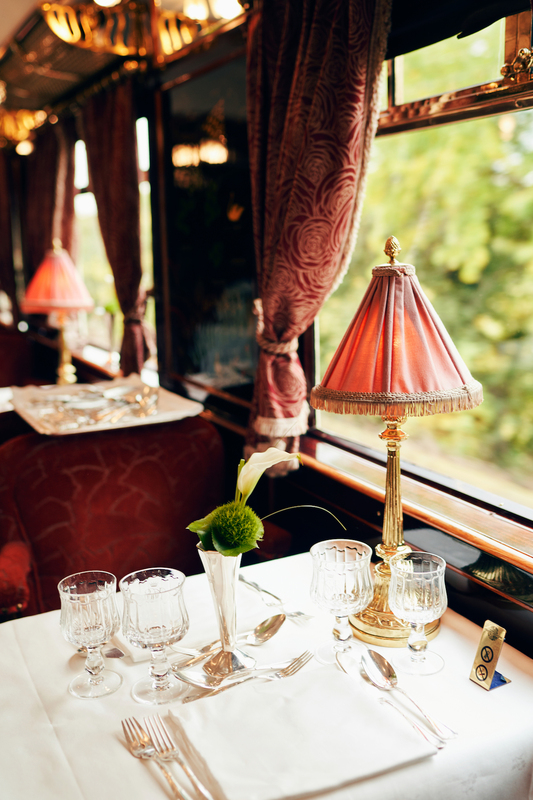 All that, is thanks to the expertise of Belmond, that managed to ressuscitate with such enchantement the universe of this historical train. 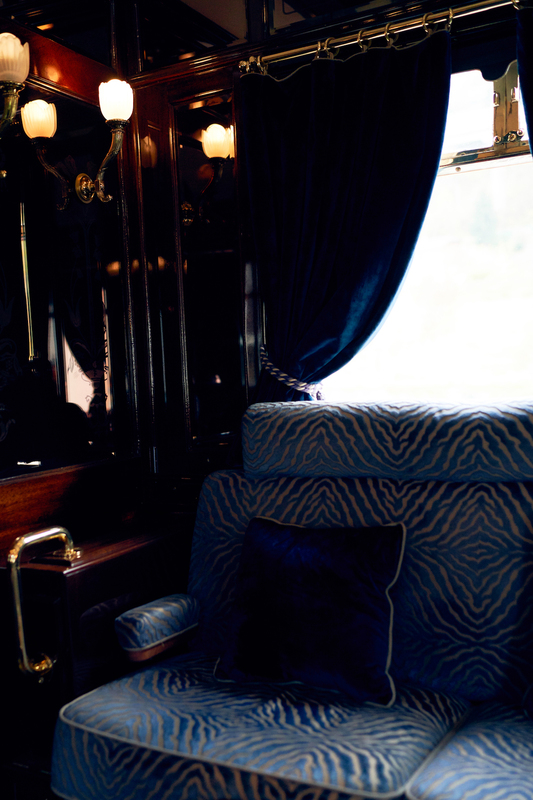 Today, the Venise-Simplon Orient-Express, it’s almost a hundred years of history, thirty six years of business, six months of activity per year, nine countries travelled through each season, eighteen sleeping cars and three restaurants cars, but more importantly of the magic, the happiness that it brings to its visitors who, like me, came on this epic ride to enjoy the refinement of this gem brought back from time, and that travels with great speed between dream and reality. Bon voyage ! On the morning of november the 7th, we woke up so early, like children in a hurry to open their Christmas presents, and used this free time to prepare our outfits for the trip, that we stored in a medium carry on suitcase, as big suitcase are not autorised in the single cabins, which is pleasant because first, it adds up to the atmosphere if you have a nice vintage looking lugagge, plus, it leaves more space in the cabin and you don’t feel oppressed by your massive suitcase. Another point, a month before the departure, we each received a box containing pretty Art Deco looking baggage tags for our suitcases, a carnet de bord that explained in details the modus operandi of the experience : what is advised to keep on board, the type of clothes to wear, the detail of our tripes, in short, everything that you need to know in order to travel with a serene mind ! 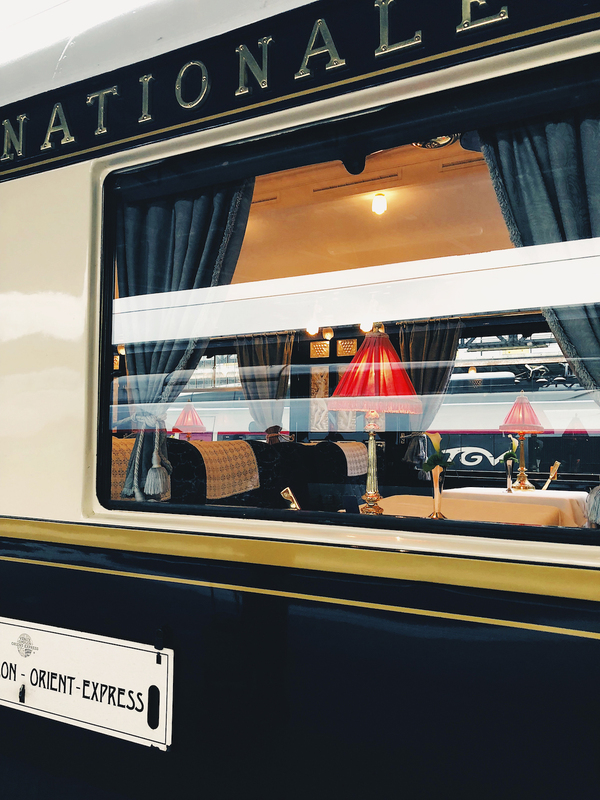 About half an hour before the departure, a member of the Venise-Simplon Orient-Express staff came to meet us at our hotel, while another took care of our luggage, it was impressive to be escorted this way to the train, considering that we were only meters away from the station ! I’m always a bit embarassed when it comes to be waited on, but needless to say that this day I had to learn to get rid of my awkwardness, because the staff was there to take care of our every needs ! 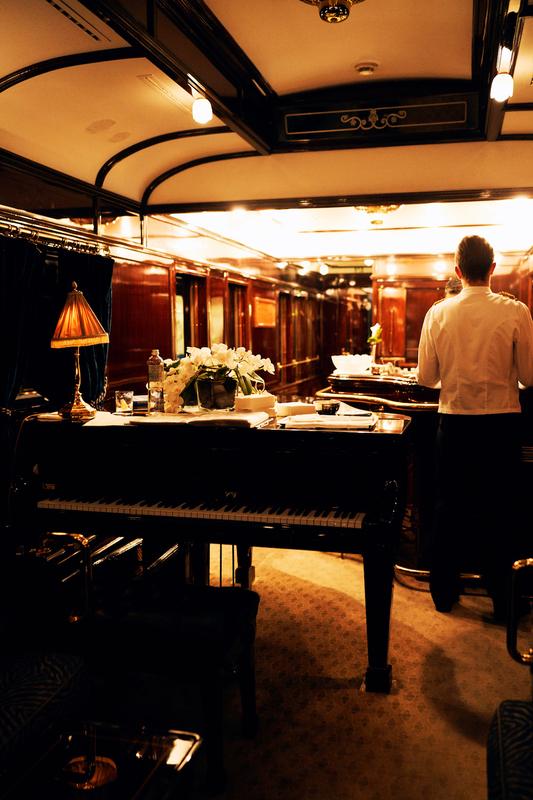 In Santa Lucia, the Venise-Simplon Orient-Express is on the platform already, and for now nothing seems to distinguish it from the other trains, except for the discreet barer that for now guards its access, and we are all dying of impatience to see it opening, knowing that we’re about to live the experience of our lives. A few minutes later, the time has finally come, the platform opens its doors and the emotion is strong, as, under the morning sun of Venice, it’s the most magnificent train that lies before our eyes ! It shines majestuously, adorned with gleaming golden details, and what about this iconic blue, which harmonises perfectly with the red carpet that is unwound along the platform. The steps, the Art Deco medallions, the stewards and their royal blue uniforms : everything is too beautiful to be true, it feels like a dream ! 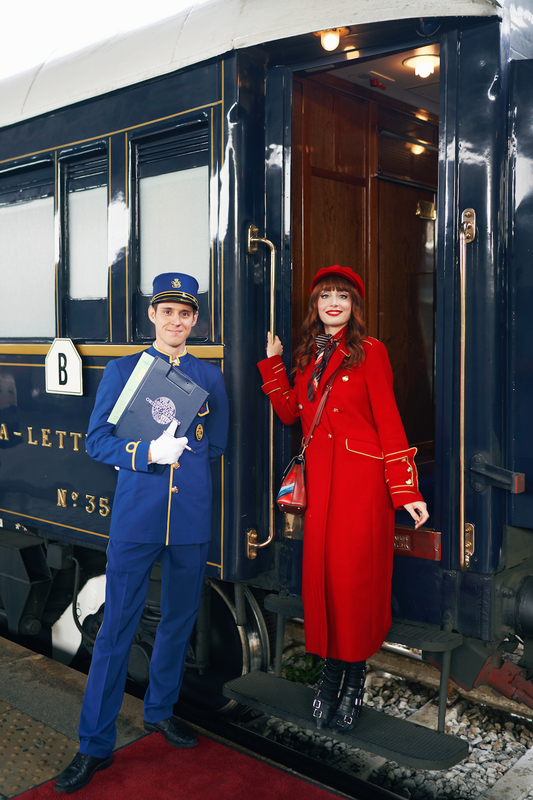 While I read the letters that sparkle on the wagon before me, « compagnie des wagons lits et des grands express européens », I almost have to pinch myself in order to realise that finally, I’m there, and I’m not the only one feeling this, because everywhere passengers seem to me equally dazzled, with huge child like smiles, the atmosphere is so festive ! 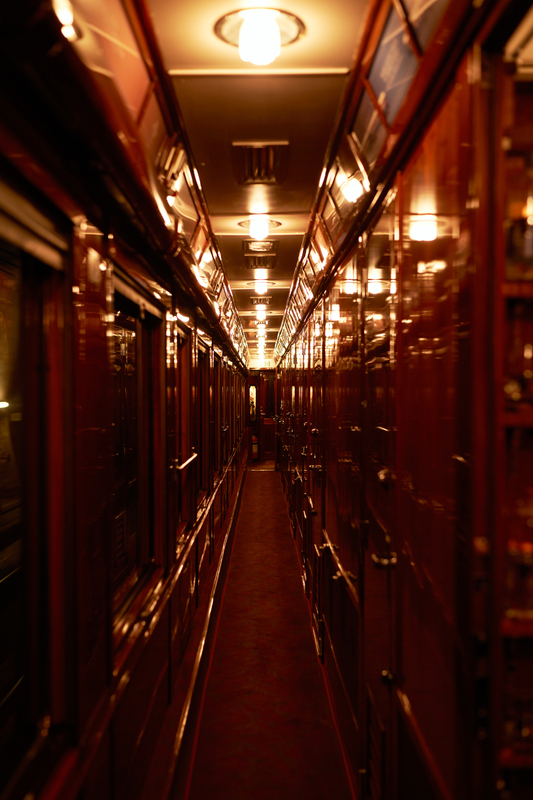 When I enter the inlaid corridor of our car, that are also shining like they just came out of the workshop, while remaining perfectly historically authentic and luxuriously patinated, I want to absorb everything at once. There so much to discover and so much to admire around me that I don’t even know where to look, but I take a hold on myself because after all, I’ve got a full day for that ! 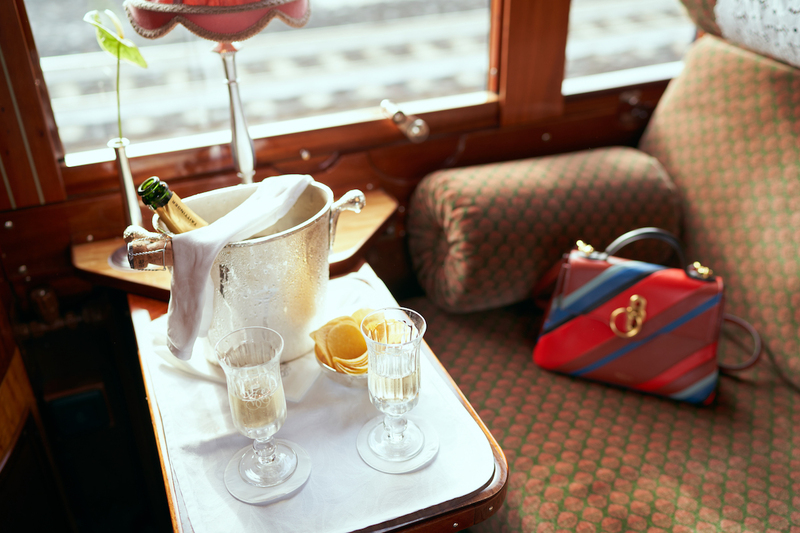 In our cabin, a half bottle of champagne and two monogrammed glasses are waiting for us, how better could this be ? Our car’s steward introduces himself, and explain to us how the cabin works, and the program of the day, which involves a lot of eating, but no rush, there are three restaurants cars and two services for each meal. We booked the first service for lunch, and I hurried to unpack so I could take a seat, and sip the bottle while looking at the landscapes. The trip has just begun, everything is already perfect, and I’m the happiest woman ever. Nous étions logées dans une cabine double, pour deux personnes donc, et laissez-moi tout de suite vous rassurer : il y a laaaaargement la place, et je ne m’y suis pas sentie une minute à l’étroit. Ici, tout est ancien et parfaitement restauré, mais le confort, lui, est moderne, car il y a des prises, et même la clim’ ! Néanmoins, tout est conçu pour que l’oeil ne soit JAMAIS offensé par la trivialité du moderne et du fonctionnel, c’est oeuvre total, du sol au plafond, tout est beau et Art Deco ! Même les toilettes, située à l’extrémité de la voiture, sont élégantes, c’est dire ! D’ailleurs, il y a même un siège confortable devant la porte, au cas où attendre serait trop fatiguant, sait-on jamais. 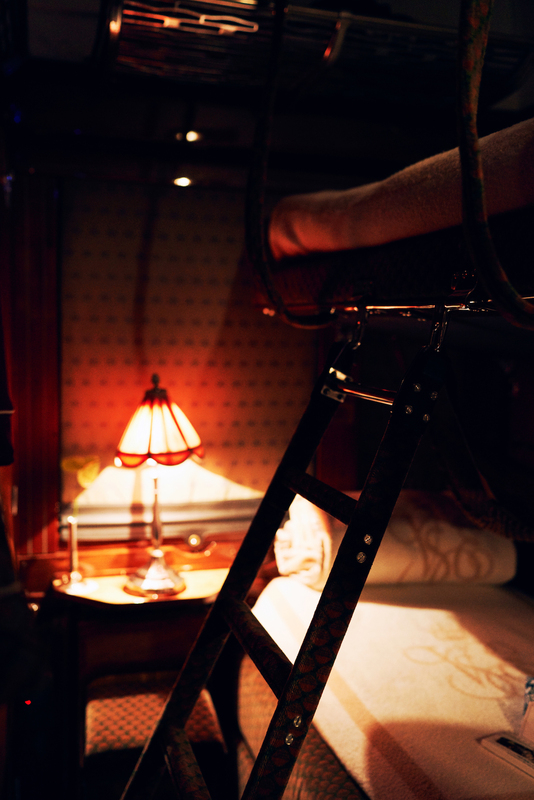 We were staying in a double cabine, made for two persons, and let me reassure you right away : there is faaaaaaaar enough room, and I never felt out of space for a minute. 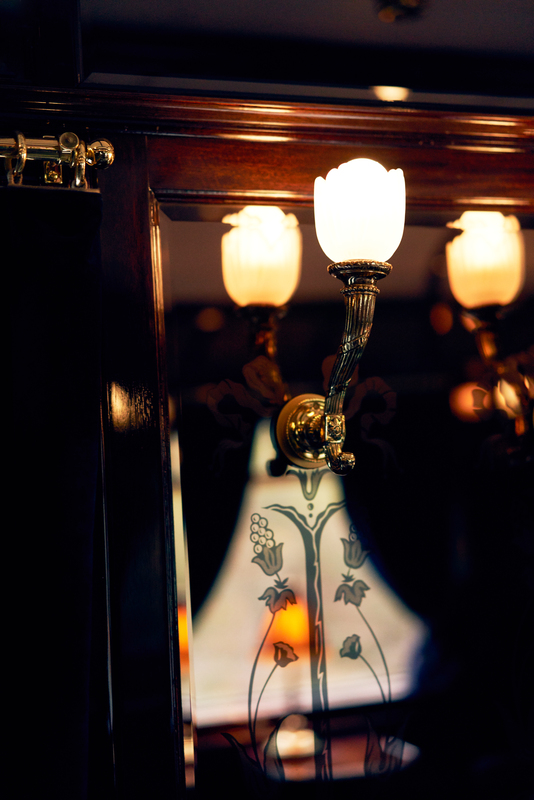 There, everything is antique and perfectly restored, but the comfort is modern, there are plugs, and even air conditionning ! Nevertheless, all is conceived so they eyes are NEVER offended by the triviality of the modern and the functionnal, it’s a total artwork, from the floor to the ceiling, everything is beautiful and Deco ! 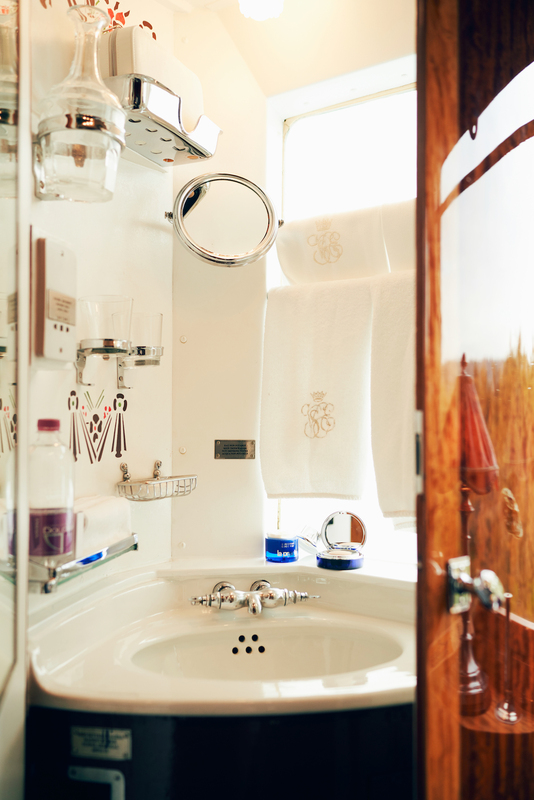 Even the toilets, that are located at the end of the car, are elegant, can you imagine ! And there is a comfy seat in front of them, in case you would find waiting exhausting. Maintenant un peu d’histoire ! 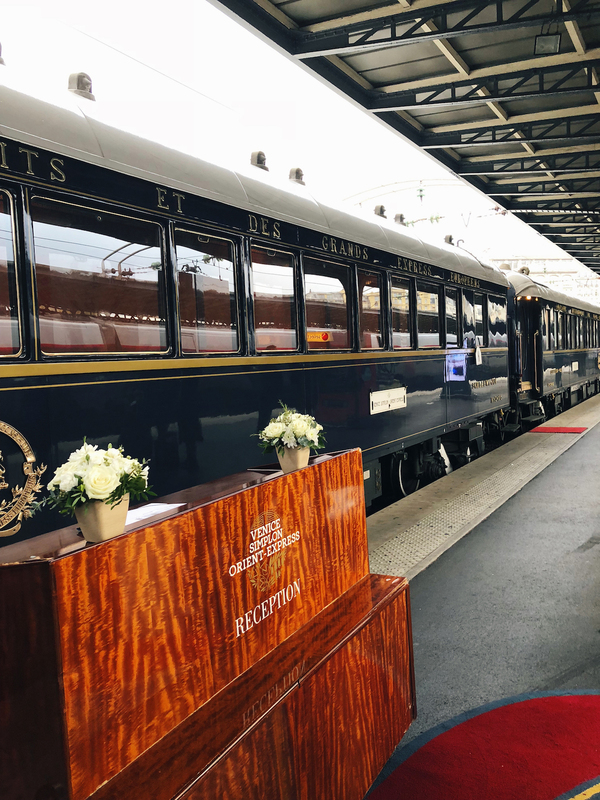 Le Venise-Simplon Orient-Express n’est pas à confondre avec l’Orient-Express original, lancé en 1883 par la Compagnie Internationale des Wagons Lits, et qui appartient à la SNCF, mais qui n’est plus en activité depuis 2009, hormis pour quelques opérations exceptionnelles. 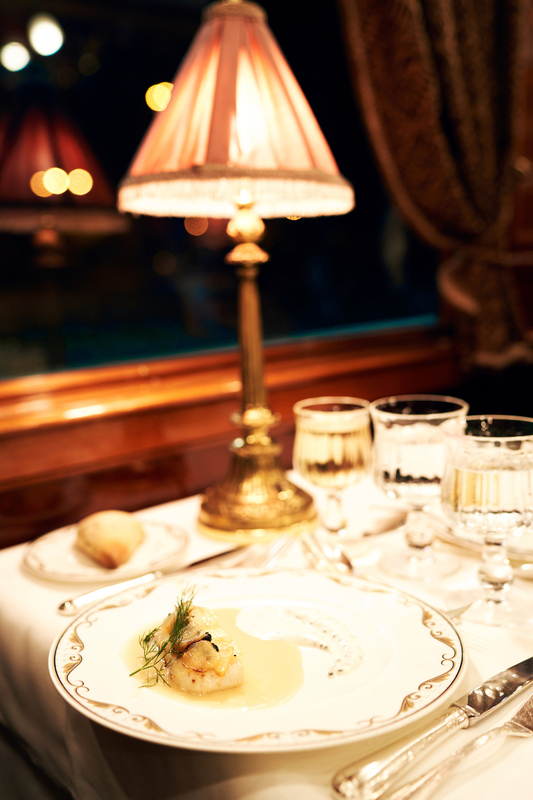 Bien plus luxueux, sa version 2.0, le Venise-Simplon Orient-Express, a été lancé en 1982 par le groupe privé Belmond, et reprend son itinéraire mythique jusqu’à Istanbul, en passant par l’Autriche, l’Italie et les Balkans. Question authenticité, il n’a donc rien à envier à son prédécesseur, car il est également composé de voitures restaurées des années 20 et 30, dont certains provenant du véritable Orient-Express, traquées dans des ventes aux enchères en Europe par James B. Sherwood, le fondateur du Venise-Simplon, et pourvues de précieux mobiliers et d’objets de la même époque, ce qui en fait un véritable bijou. And now a bit of history ! 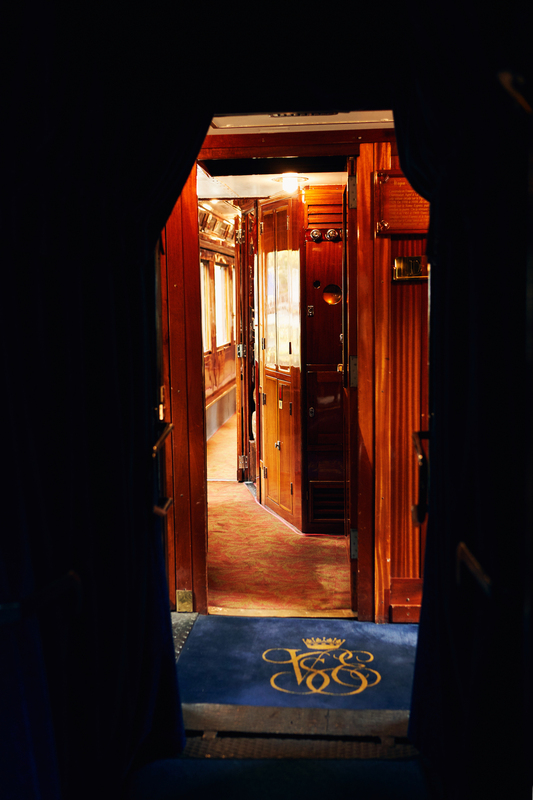 The Venise-Simplon Orient-Express mustn’t be confused with the original Orient-Express, launched in 1883 by the Compagnie Internationale des Wagons Lits, and that now belongs to the french railway service, but is no longer in service since 2009, except for occasional showings. 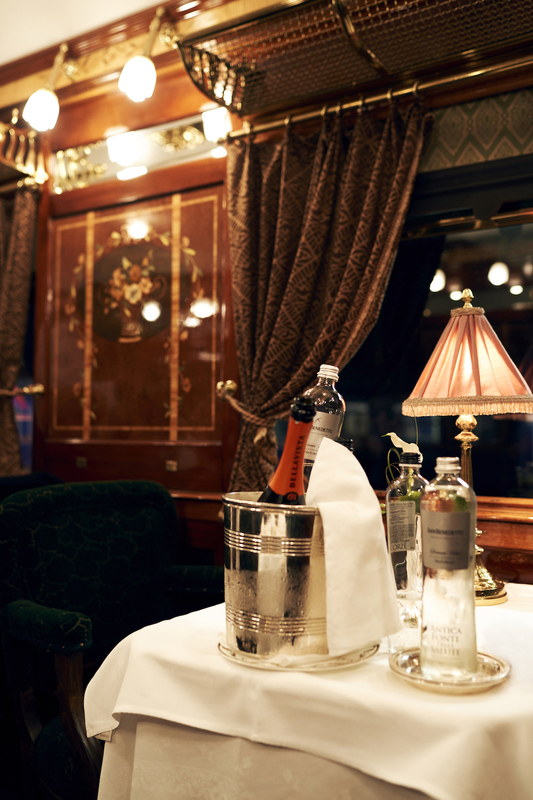 Far more luxuous, its 2.0 version, the Venise-Simplon Orient-Express, was launched in 1982 by the private group Belmond, and retraces its mythical itinerary to Istanbul, passing through Austria, Italy and the Balkans. 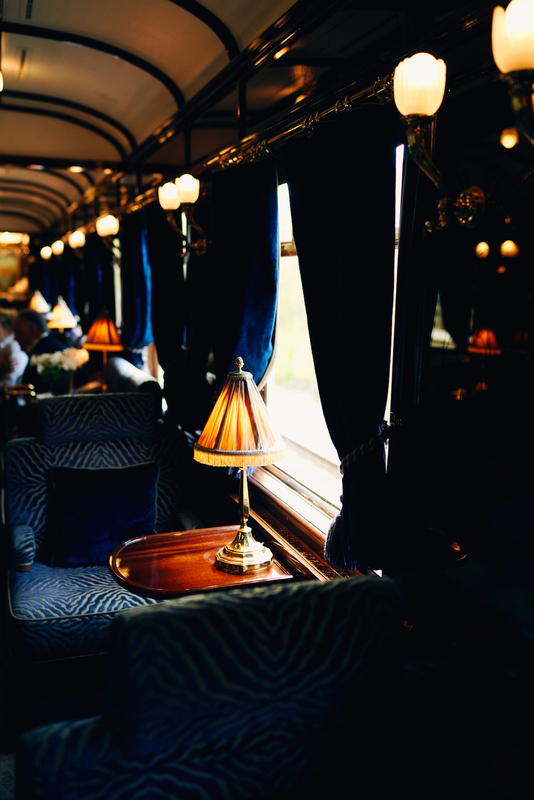 In terms of authenticity, it has thus nothing to envy to its predecessor, being also composed with restored cars from the 20s and 30s, some of them coming from the original Orient-Express, that were hunted down by James B.Sherwood, founder of the Venise-Simplon, in auction sales around Europe, and furnished with precious furniture and objects from that era, which makes it a gem unique in his kind. Each car thus has its own story, which can be read on a pannel in the entrance, and this is how we learned that ours was built in Brittany in 1929, first circulated between 1929 and 1937 on the equally mythical Train Bleu, that linked Calais to the south of France, then joined the Nord-Express from 1937 to 1939, where it travelled along the russian steppes, then came back to the Train Bleu from 1946 to 1961 after a brief stop during WWII, before becoming a part of the Orient-Express from 1962 to 1971. What an adventure ! 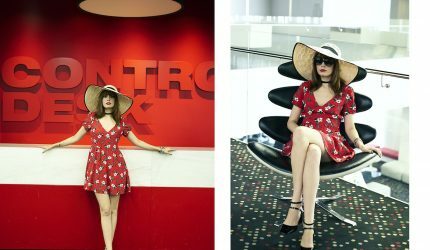 Concernant ma tenue, j’avais choisi cette incroyable robe dorée de chez Marilyn Feltz, ma créatrice française adorée, et comme vous pouvez le constater, je faisais presque partie des murs ! Et puis, il y avait quelque chose de vraiment amusant à se laisser doucement tanguer sur des plateformes de douze centimètres en parcourant les compartiments, titubant un peu le long des panneaux marquetés, comme portée par le champagne, grisée par la beauté ! First stop before the restaurant wagon, the 3674 ! 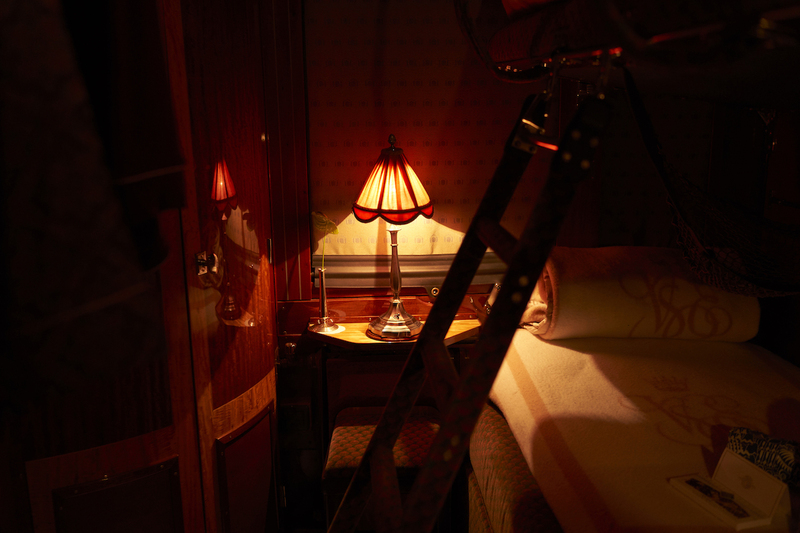 When discovering the hushed atmosphere of this car that was unveiled in 2016, and that is the Venise-Simplon’s bar, one can feel completely projected into the golden age of the train travelling, as everywhere can be seen fine inlaid pannels, antique wall lamps, mellow velvets and engraved mirrors : a wonder of refinement in this 1931 car that once belonged to the Sud-Express that connected Paris to Lisbonne. Lunch was served in the Oriental, one of the three restaurants wagons in the train. 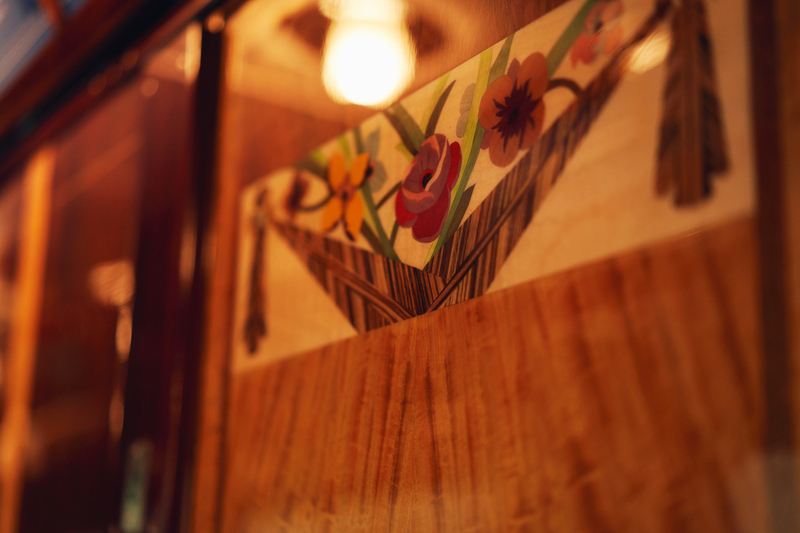 Originally, this rake dating from 1927 was used as a kitchen in a british Pullman train that connected Paris to Amsterdam, then it joined the famous Lusitana Express. 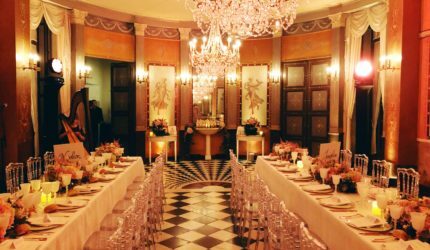 By that time, I thought I was already in heaven, and yet, I wasn’t even close to the end of my surprise, because that gorgeous room stunned me : these laquered pannels, and these crimson velvet seats, a dream ! 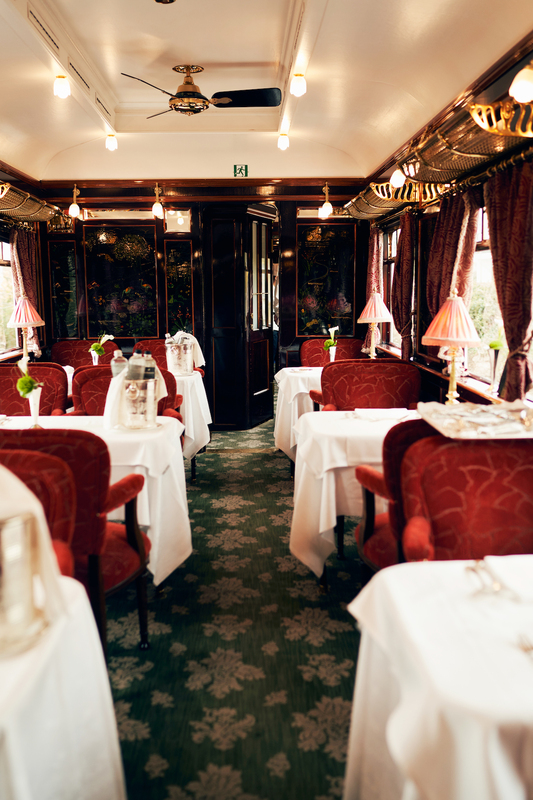 I had never dinned on a moving train, and it’s quite funny, and I’m still gagging about the breathtaking skills of the waiters, that manage to cross each other continuously, like in a ballet, and yet never stumbling into each other or dropping anything. 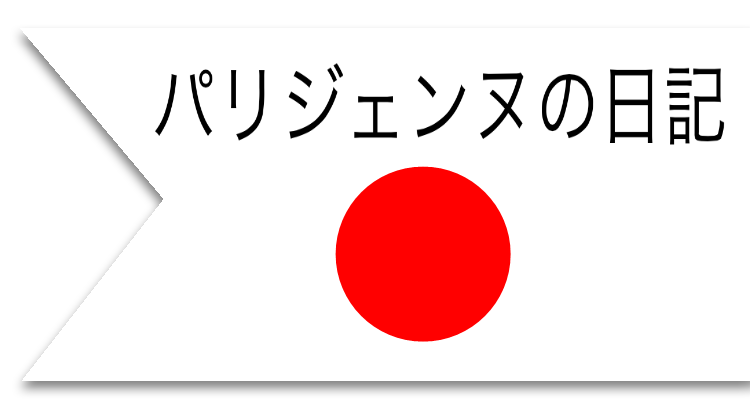 Moreover, they’re also really nice, and speak an impressive number of languages ! Now the dining, which is one of the key elements of the trip, considering how omnipresent it is ! 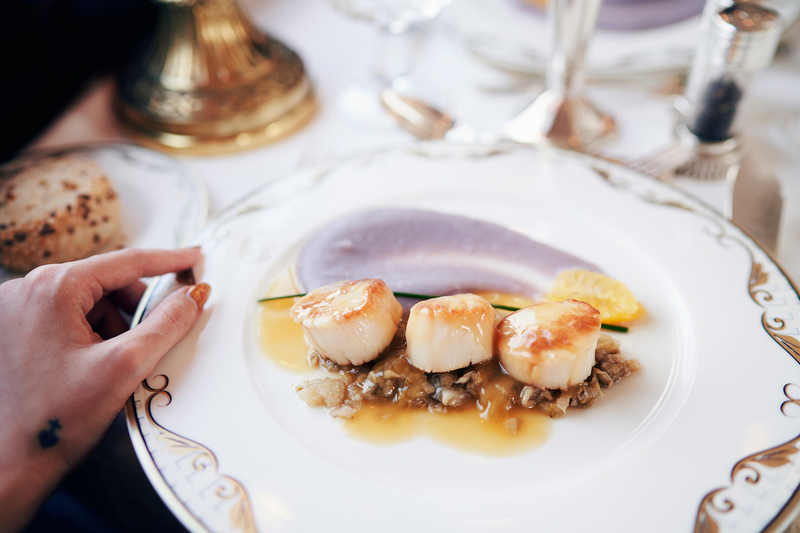 And here, despite the restricted space, there are only the best of products in the plates, scallops, langoustines, foie gras, truffles, and the chef, Christian Bodiguel, personally makes sure of their fine quality. 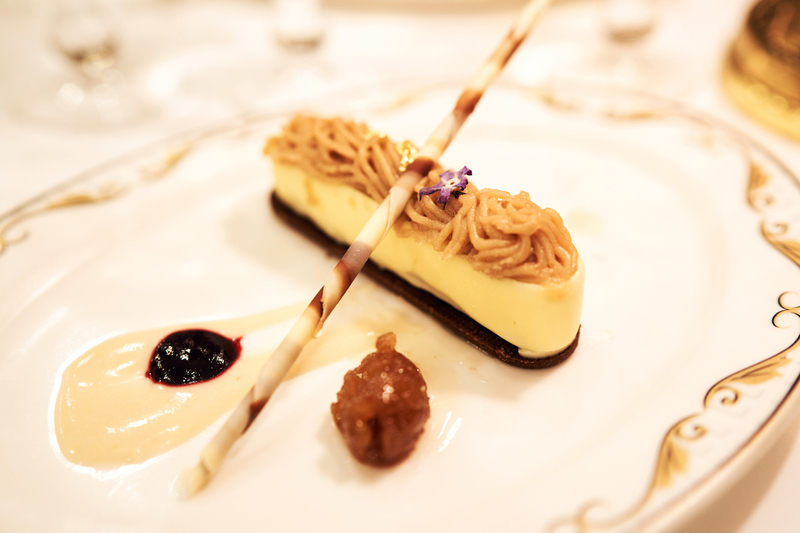 The cuisine, worthy of a Michelin star, is of the highest gastronomical level. 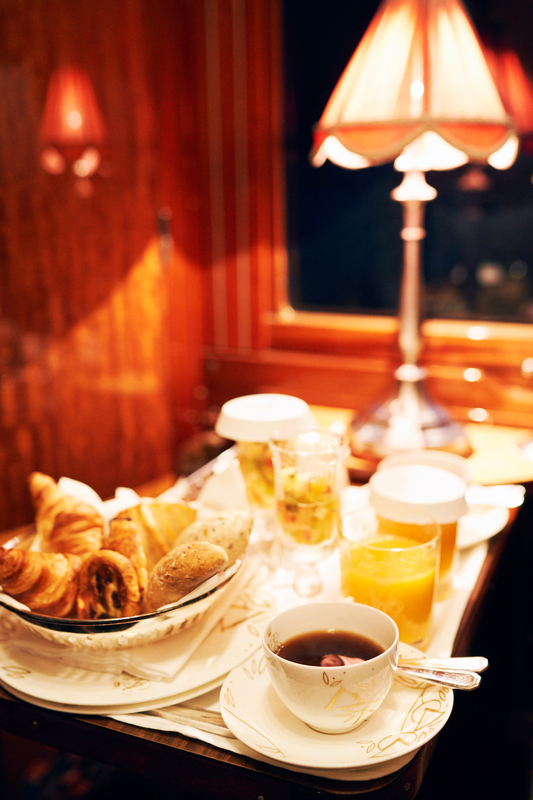 And to be certain that the food supplies are as fresh as they can be, they are brought on the train progressively during the journey, depending on the train’s different stops all throughout the day. 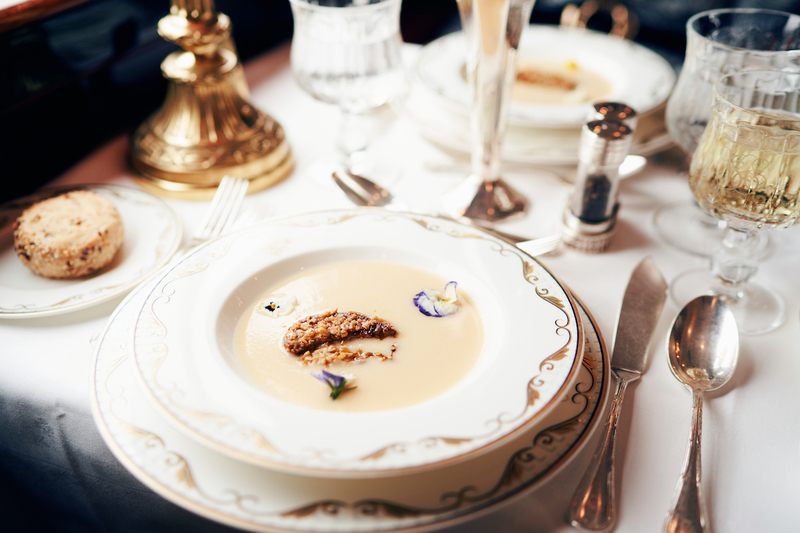 Light yet copious, the menu is a wonderful festival of flavours, with a finesse in the mouth that rivals that of the table, drawn with elegant crystal glasses and plates adorned with gold linings. Rare thing, this lunch was such a delight that I even devoured the desert, and I usually hate sweets ! Excusez ce regard placide, mais pour faire un bel euphémisme, disons que j’étais à ce moment-là complètement grise. Comme Pauline ne boit pas trop, je me suis fait un plaisir de siffler le champagne et le vin blanc, car, étant fondamentalement et puissamment épicurienne, c’était un festival que de pouvoir accéder à toutes ces bonnes choses qui nous étaient proposées à bord. Outre sa dimension esthétique, c’est aussi la qualité, ainsi que la profusion de fins mets qui fait la renommée du Venise-Simplon Orient-Express, où les temps morts sans dégustations sont rares, et ce pour notre plus grande volupté…J’étais certes repue après ce délicieux déjeuner, mais si l’estomac se remplit et atteint à terme la satiété, la faim de beauté elle, ne tarit jamais, et j’allais abondamment pouvoir me nourrir à la source au cours de cette journée..
Ainsi, en prenant le teatime à bord du Venise-Simplon, vêtue de mon pyjama en soie et coiffée de mon turban, je me croyais complètement Marie-Laure de Noailles en vacances. C’est le genre de moment où l’emoji « ongles se faisant vernir » parait plus qu’adapté ! 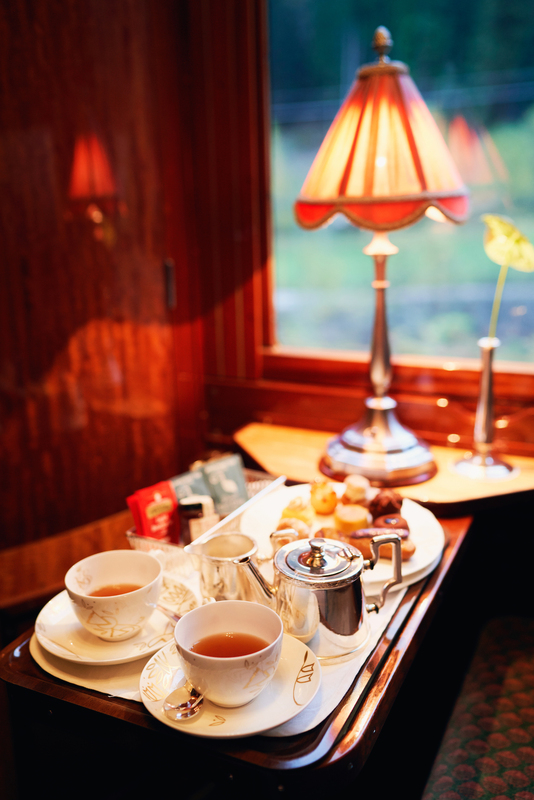 After these mellow hours, tea time rang and our steward brought to our compartment a platter filled with tasty pastries that made our mouths water, and a big pot of fuming Darjeeling tea, which we sipped in elegant porcelain cups. 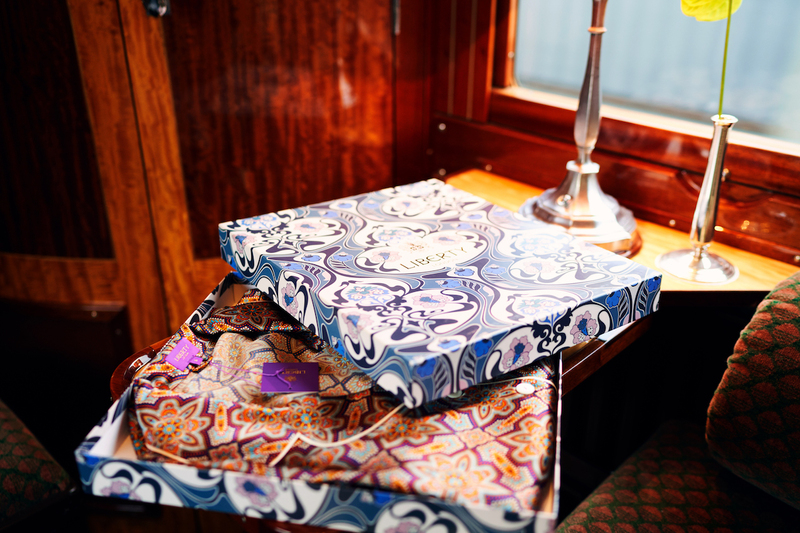 For the occasion, I had brought my Liberty pajamas, that I had saved especially for this trip, just so I could have the pleasure of unwrapping the silk paper while being on the train. 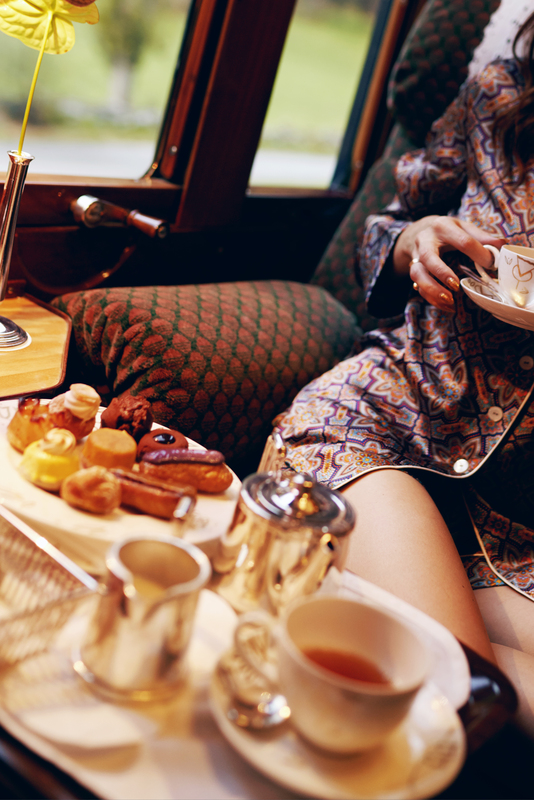 Thus, having tea on the Venise-Simplon, with my silk pajamas and my turban, I felt like Marie-Laure de Noailles on holidays. It’s the kind of moment when the « nails that gets varnished » emoji is more than appropriate ! 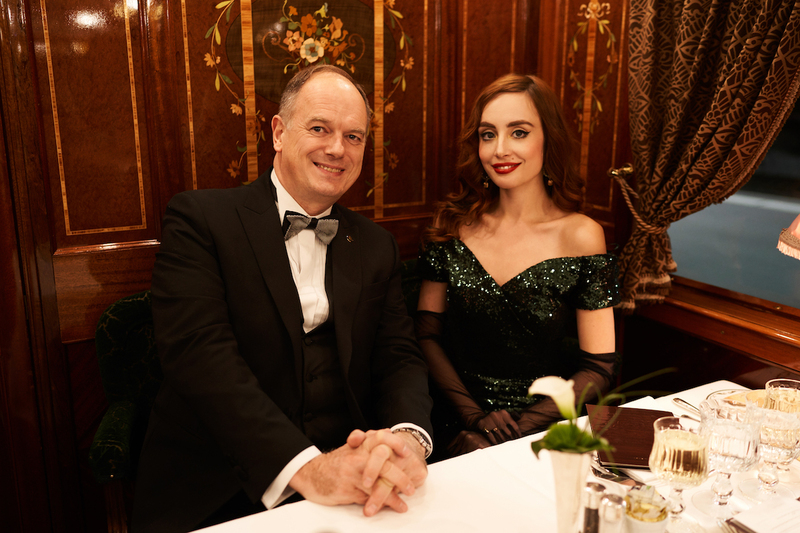 A certain dresscode is asked for on the Venise-Simplon Orient-Express : casual chic for lunch, and black tie for the evening. 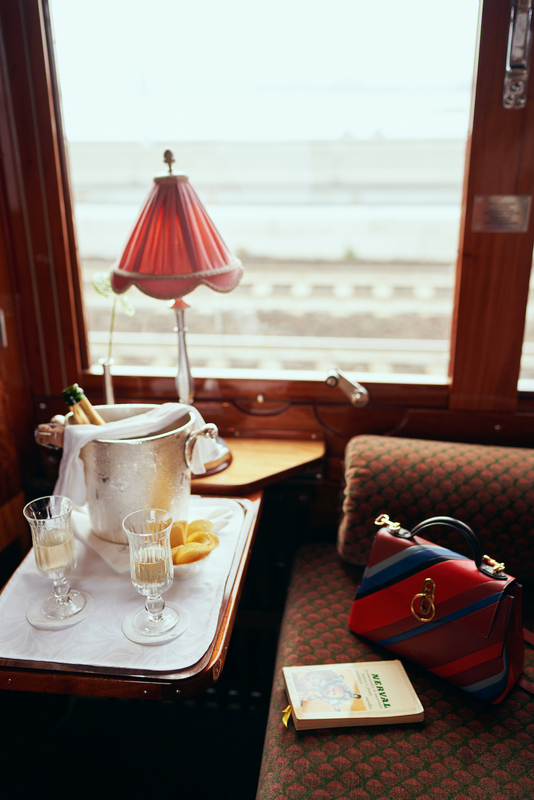 Do not be afraid of wearing your fanciest clothes, because as it is written on the carnet de bord, « you can never be overdressed on the Venice Simplon-Orient-Express ». That’s a good news! In Paris my excentric outfits can sometimes be misunderstood, which brings me a lot of nasty looks and comments, but there, I was treated with the nicest compliments all thourgh the day, like this lady who came to my table and said, ‘a valu que d’enthousiastes compliments, je me souviens par exemple d’une dame qui s’est penchée à ma table pour me dire « I saw you how gorgeous you looked at lunch and I was looking forward to see your choice of outfit for tonight ! », how nice of her ! The dresscode is a big part of the trip, as here, we are all Agatha Christie characters, so what’s better for blending into the atmosphere than wearing something that matches with the era ? Plus, it’s so much fun ! Before dinner, we had a drink a the 3674 bar, and I would recommend arriving early, because one hour later the car was packed, and we were happy to have our table, because there are not many. 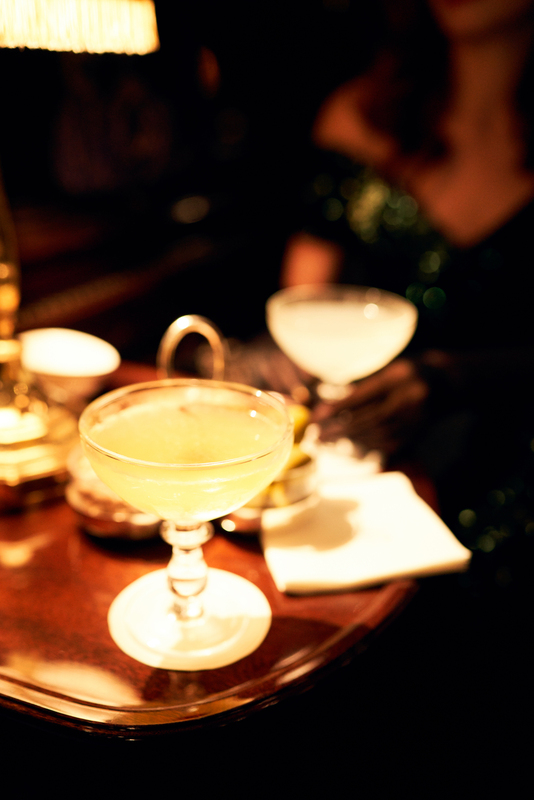 One cocktail later, then two -there are so many on the menu that it would be a shame to not try several-, the wagon has turned into a party worthy of the Great Gatsby, and many were the guests that were electrified by the red-hot ragtime tunes played by the train’s pianist. The effervescence was almost palpable, with the urgency of knowing that tomorrow the dream was already ending, and this each moment until then should be precious, and lived in great style. A perfect metaphor of the reading 20’s ! Mon seul regret est de ne pas avoir plus discuté avec les autres passagers, car je pense que tous ont une histoire incroyable à raconter, étant donné que nul n’atterrit ici par hasard. 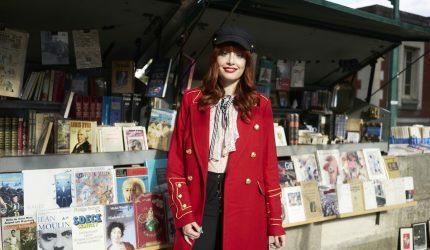 En effet, si parcourir l’Europe à bord du Venise-Simplon est un expérience unique à travers le temps, cela ne va pas sans un certain prix et, à l’heure où les all-inclusives et les resorts redoublent de promotions, le fait qu’il existe des esthètes prêts à mettre sur vingt-quatre heures ce qui pourrait leur assurer une à deux semaines de vacances ailleurs est fascinant. Parmi eux, il y a bien sûr de de riches privilégiés, mais aussi des couples ou familles venus fêter un anniversaire, un voyage de noce ou un anniversaire de mariage, et qui reviennent d’ailleurs parfois dix ou vingt ans après, des fous de trains, des japonais en kimono, des amoureux de la prohibition et des couples de retraités. 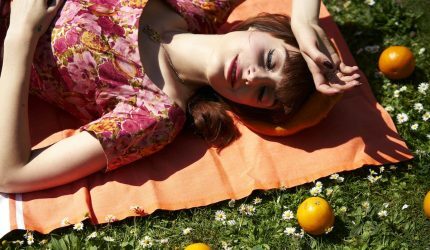 Ils viennent goûter à un raffinement unique, s’aventurer à travers le temps, rechercher un peu de beauté et d’authenticité dans un monde qui en a de moins en moins. 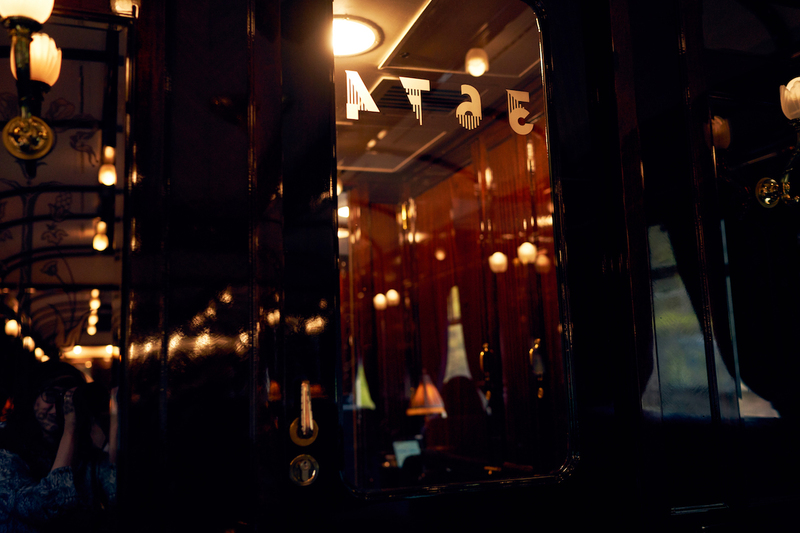 I was thrilled that the restaurant car that was attributed to us for the dinner was the Etoile du Nord, because it’s the oldest one ! 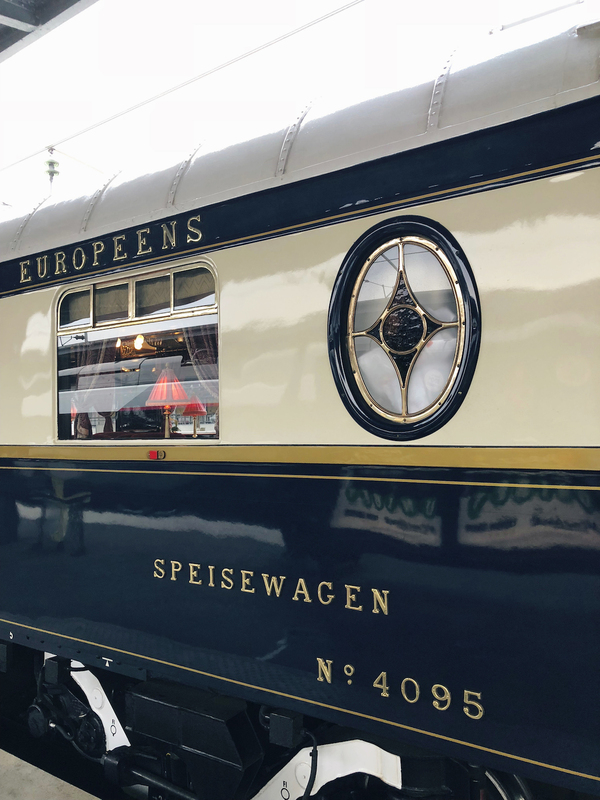 Built in 1926 in England, this car used to be a part of l’Etoile du Nord, another mythical train of this decade, that was connecting Paris to Amsterdam. 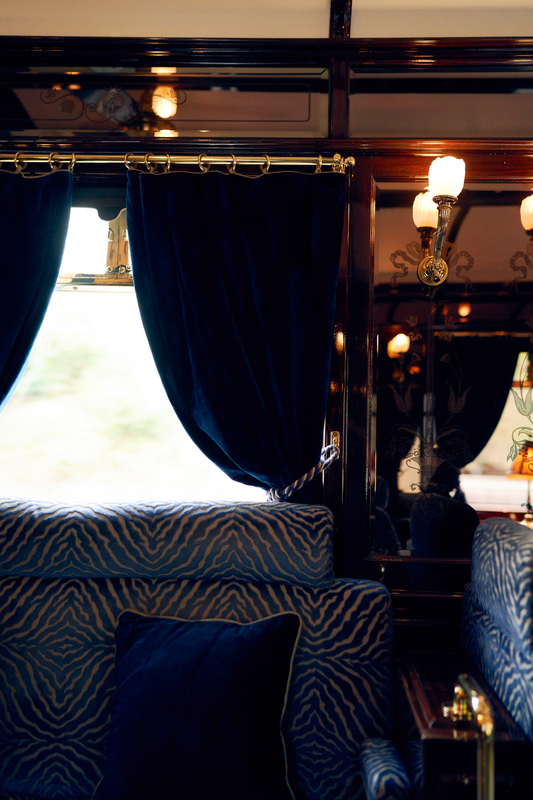 There, one can surrounded by inlaid wood with floral patterns, deep velvet curtains, precious cristal glasses, silver cutlery and porcelain plates, a somptuous wagon, that is also very warm and intimistic with its fawn tons adorned with crimson and gold details. We chose the second service and it was perfect because there were fewer people (but one of the Venise-Simplon biggest talents is that of giving a permanent impression of serenity and exclusivity, one can never feel crowded or hurried), and that made us feel even more out of the world and out of time, which is the privilege of the most luxurious places ! I’m still dreaming about this decor, it was of such refinement. Our marathon of agapes then continued with dinner, whose royal menu i’m sharing with you : panfried turbot steak with tiny sliced potatoes scales and truffle carpaccio, champagne sauve – roast fillet of lamb coated with argan oil and sweet garlic, oriental spices jus, served with zucchini, eggplants, sweet peppers and tomatoes flavoured with lemon thyme, and tabbouleh with peppermint fresh leaves – selection of fine cheeses – Mont-blanc cake with candied chestnuts – mignardises. I particularly enjoyed the turbot with truffles and champagne, that was a symphony of exquisite flavors. Being a very bad food critic, I won’t try to describe in more details these gustatory impressions that belong so much to the world of the sensible, and so ephemeral in nature, but even though their contours are disappearing, the memory of of a voluptuosity still lingers on. Being a strong supporter of the beautiful, it’s the moment in its entirety that seduced me, the fact that everything was nothing but refinement, finesse and perfect preciosity, here is what made me live a daydream. 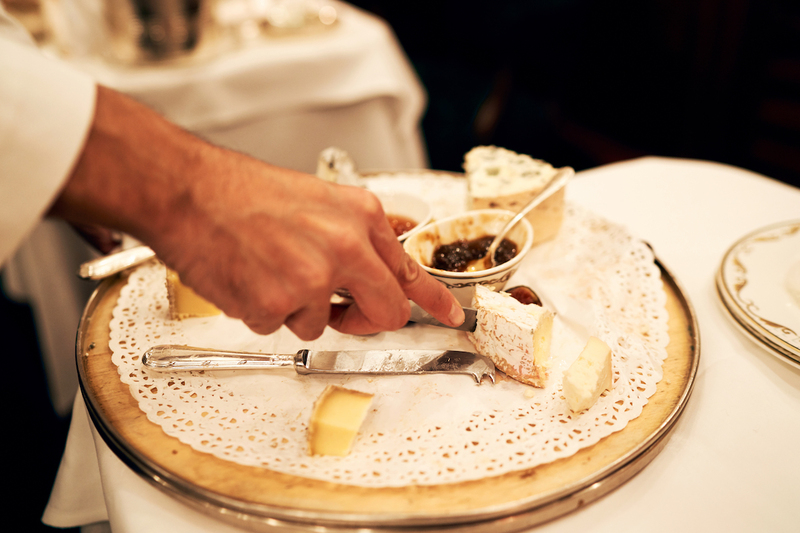 But this beauty, even if it reigns in such a total way, is nevertheless carrier of emotion, and it’s the emotion of a fleeting instant and yet timeless, of a lost era that is brought back to life, like a miracle, and, it’s also the simple emotion of the good things, like a shared meal and the pleasure of the palet. Cela nous amène à une autre dimension du Venise-Simplon -décidément, il y en a tant !-, celle des rencontres que l’on y fait, et qui sont nombreuses pour un trajet si court ! Ce soir-là, le manager du train, Bruno Janssens, que nous avions déjà rencontré en fin de matinée, est venu se poser un moment avec nous à table, et il nous a raconté un tas d’anecdotes passionnantes à propos de ses nombreuses voyages à bord du train, et des destinations spéciales qu’il avait effectuées, notamment en Pologne, ce qui m’a fait plaisir. Je dois dire que je l’envie tout particulièrement d’avoir un travail aussi intéressant, moi qui suis tellement nomade dans l’âme…Grâce à lui, nous avons appris que cette soirée était la dernière de la saison, ce qui a rendu notre périple d’autant plus exceptionnel ! En effet, dès lendemain, et ce après ces quelques six mois d’intense proximité, les membres du personnel s’en allaient poursuivre leurs autres activités aux quatre coins du monde. Quand au train, c’est à la restauration qu’il se destinait. This brings us to another dimension of the Venise-Simplon -there are decidedly so many !-, that of the meetings that one can make there, which are suprisingly numerous for such a short trip ! That evening, the train manager, Bruno Janssens, which we had met earlier during the day, came to sit with us for a moment, and told us many fascinating stories about his many trips throughout the years, and the special destinations he took part of, including Poland, which made me happy. I must say that I’m very envious of his fantastic job, having a nomad soul as well…Thanks to him, we learned that this evening was the very last of the season, which made our journey even more special ! 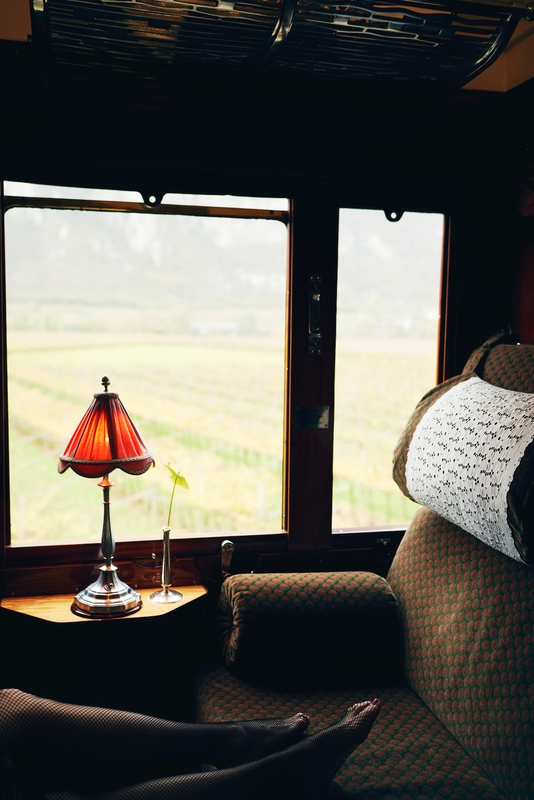 In fact, the next day, and after six months or so of intense proximity, all the members of the staff were leaving to pursue their separate lives in various regions of the world, while the train was going to restoration. As we went back to our cabin, surprise, it’s a whole new setting that we discovered, as while we were away, it was transformed into a cosy bedroom ! I would have loved to show you how pretty the setting was on the floor, with slippers and white monogramed mats carefully arranged, but you can see a bit of this expertise on the bed. Needless to say, I wasn’t looking forward to going to bed, as in a way, sleeping also means leaving , but the night was good, I was on the upper bad and loved how it made me feel like when I was a kid and was building little shacks, except this one is a billion times more luxurious ! It’s incredibly pleasant to fall asleep when you feel disconnected from the world, protected in this warm, intimistic space. 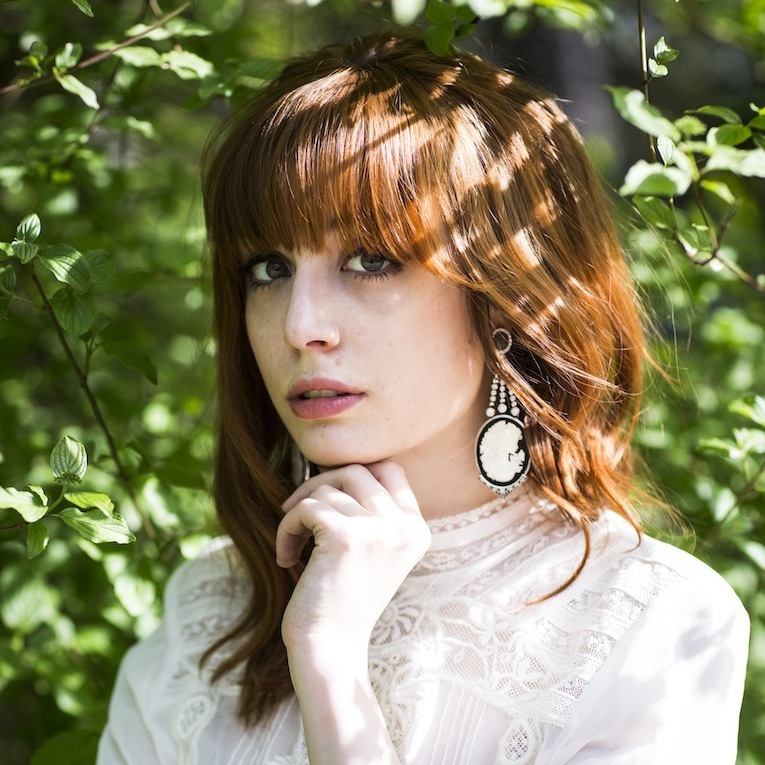 Que vous dire Louise? C’est un rêve que vous incarnez: en plus la robe verte est splendide, les descriptions délicieuses, tout ce charme… Je mettrai plus tard un commentaire plus élaboré, là j’ai des étoiles plein les yeux; j’avais vu hier en bas de la page des photos, je pensais que le voyage avait été fait il y a longtemps et puis aujourd’hui la surprise.. Il faut dire que ce type de voyage, comme vos tenues et tout le raffinement que l’on perçoit vous vont à ravir! Quelle joie de te lire, j’étais plongée dans ton récit et tes tenues étaient plus belles les unes que les autres. Quelle ambiance incroyable, j’aurai été aussi émerveillée que toi d’avoir l’honneur de voyager dans ce train mythique. Les photos sont sublimes et tu décris à merveille ton expérience. 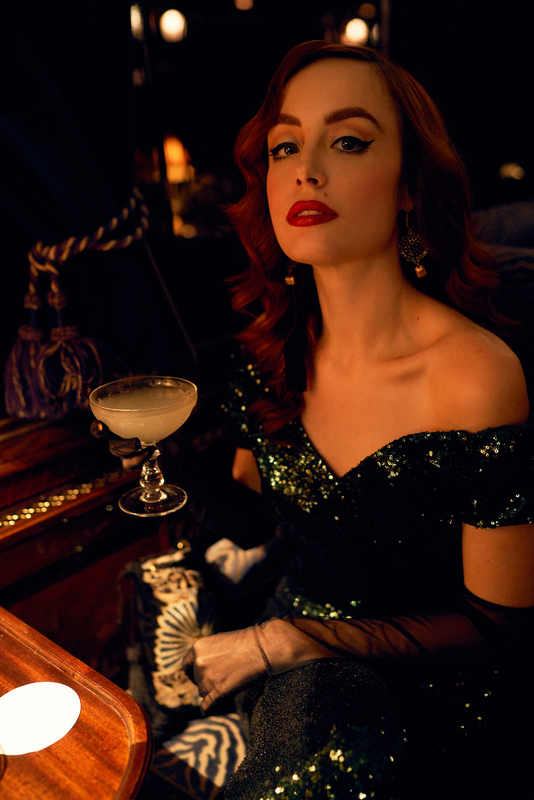 J’adore ta tenue so glamour verte à sequins, tu es magnifique. Merci pour ce bel hommage à ce train si particulier. Tu m’as totalement emportée par ton récit magnifique et ces photos éblouissantes qui l’accompagnent. Merci pour ce partage d’un onirisme scintillant ! Tu es divine ! Et les photos magnifiques, comme toujours ! Merci pour cet incroyable voyage. Je rêve de faire un séjour et voyage en train, tout semble si beau mais en même temps je pense que l’on a l’impression de vivre dans un autre monde ou une autre époque. En tout cas tes robes sont fantastiques ! J’ai voyagé avec toi. Je pensais être la seule à secrètement rêver de voyager à bord de ce train et je me rends compte avec délice que non ! J’aurai aimé que ton article dure encore et encore… Tout comme toi avec le voyage ! C’est magique ! Et tu es splendide ! 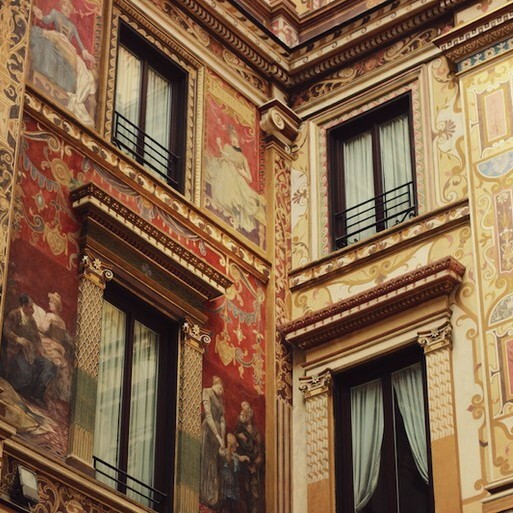 Beautiful reportage! Your wardrobe is giving it a finishing touch. I love your Liberty pajamas!! Despite being a speaker of the English language, I still cannot find the words to express how beautiful this post is.Congratulations! Ce train me fait rêver aussi. 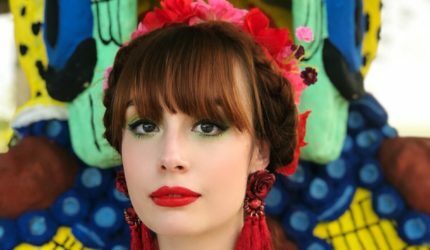 Encore un article qui fait rêver! Autant par les photos (très belles, comme toujours) que par le lieu mythique que tu présente. Je suis une grande passionnée de trains, et je rêve de voyager dans ces wagons de légende. 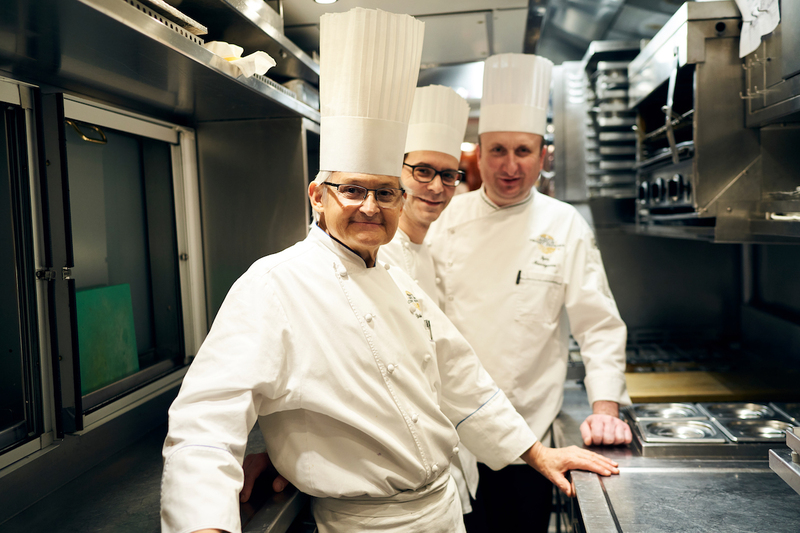 J’ai pour l’instant eu la chance de participer à un diner dans le fameux wagon-restaurant (délicieux, un grand bravo à l’équipe, mais là, avec cet article, je réserve une place pour un voyage dès que possible.